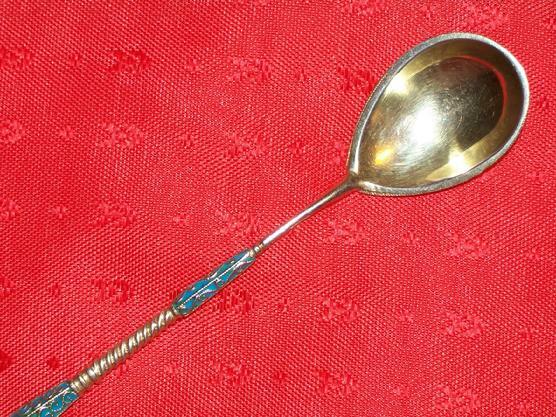 Russian Imperial cloisonne enameled silver spoon by Gustav Klingert. 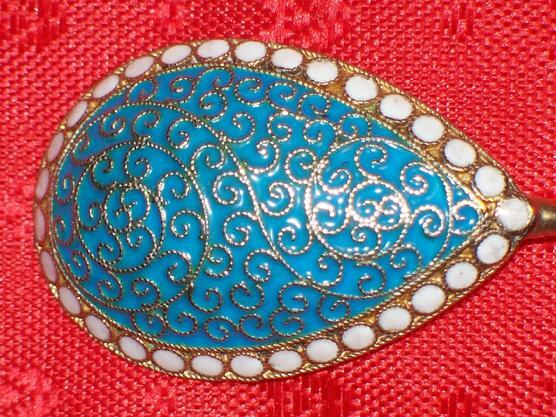 The all over turquoise decoration with gold tracery and opaque white bead border is a decorative style extensively used by Klingert. The design is, in effect, a signature style. 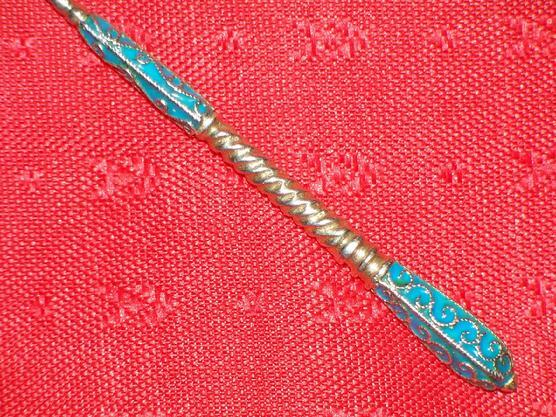 The handle is twisted and terminates in an enameled “crown” type finial. The bowl retains its original gilding. Marked with the 84 silver standard. Moscow, circa 1890-s, and "GK" for Gustav Klingert. 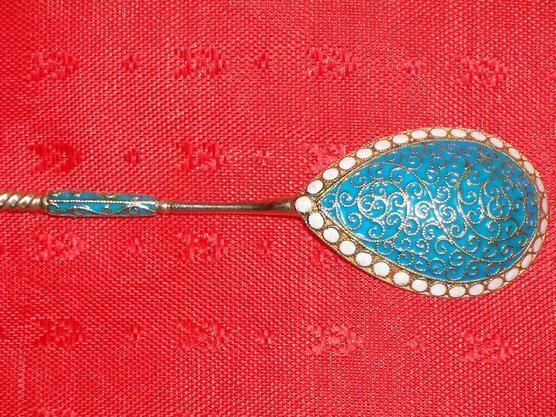 Gustav Klingert who used to work for Faberge owned a factory of gold and silverware which was founded in 1865 and known until 1916. His factory produced a lot of silver enamel items. He had 200 workers and 45 teenagers, manufacturing items worth 400,000 roubles. He was a participant in the exhibition in Paris (1889) and Chicago (1893) where his works were granted honourable mentions. 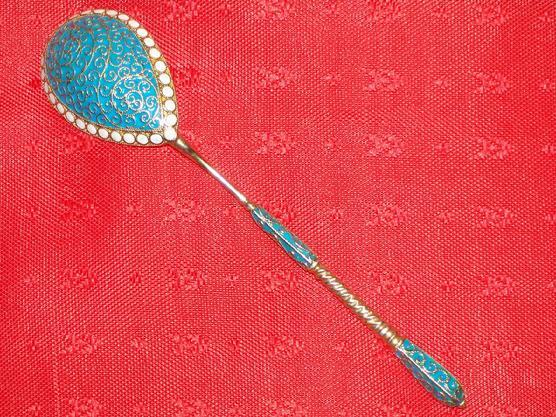 He had 4 sons and grandsons who worked together with him, one of the sons from: 1915 to 1917 was a book-keeper of the Moscow branch of the Faberge. G.Klingert was a famous representitive of German ancestry in Moscow. Length: 4 5/8 inches/11.5 cm long. Weighs: 0.7 Troy oz/16.4 gm. to gilded silver or enamel.